The Nation’s capital celebrated the 25th Anniversary of the Parliament House on Saturday 24 August with an Open Day. One of the events was the final of the “My First Speech” competition. The competition was open to students in years 10-12 who had to write a speech, imagining that they were a newly elected member of the House of Representatives and were delivering their maiden speech in Parliament. They had to speak on issues that they are passionate about. 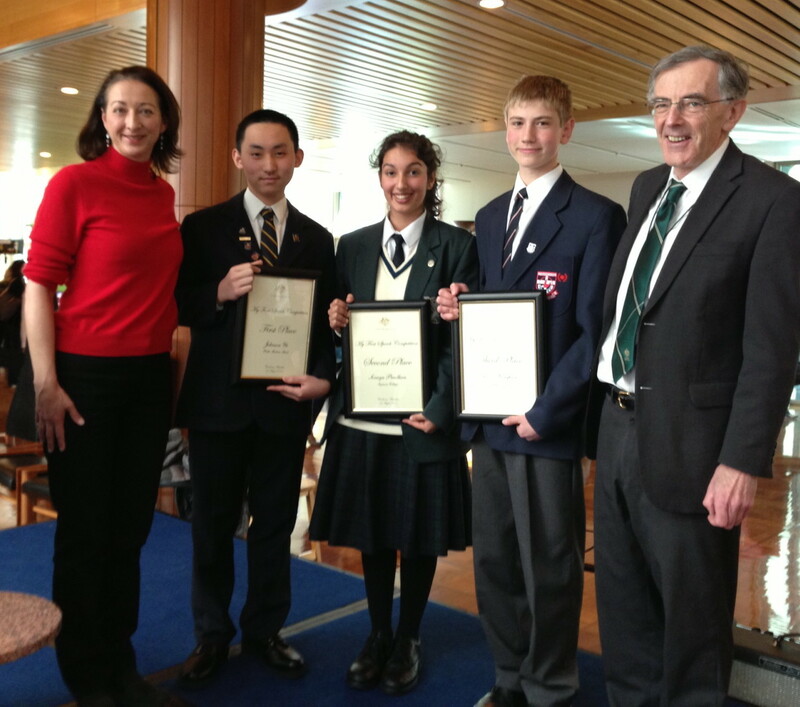 Soraya Pradhan (Centre in the photo), a Baha’i student from Seymour College in Adelaide won the second prize. In her speech Soraya talked about the notion of Community in Australia and how she has grappled with the challenges of belonging to a religious minority and identifying with multiple cultures from her mixed heritage. Soraya travelled to Canberra for the day to deliver her speech at the Open Day and to receive her prize. The prizes were presented by Ms Gai Brodtmann, MP, Federal Member for Canberra (First from left).